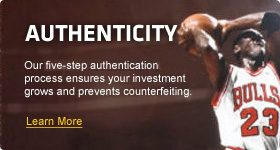 Upper Deck Launches 2010-11 SP Authentic Basketball Set! 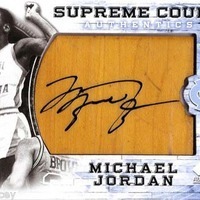 Company’s premium brand delivers enhanced content this year including Michael Jordan UNC ‘Supreme Court’ floor cards! Carlsbad, CA (May 4, 2011) – With the basketball playoffs well underway and all eyes focused on the hardwood, Upper Deck is excited to announce the release of its latest hoops offering: 2010-11 SP Authentic Basketball. 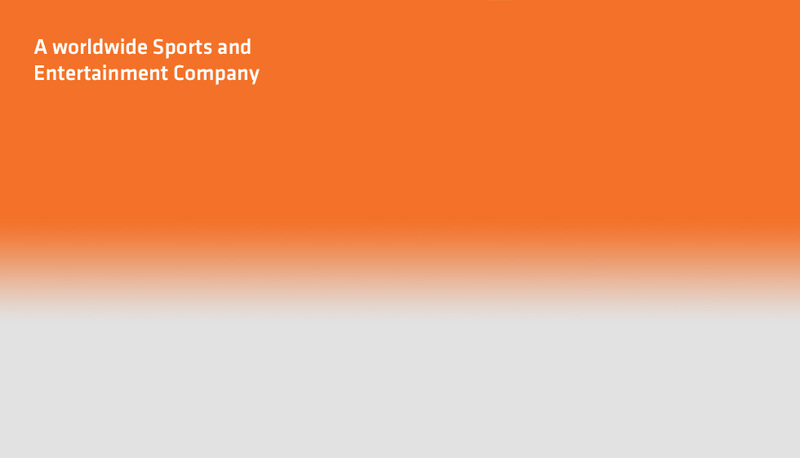 A robust base set consisting of 100 cards, SP Authentic Basketball boasts an outstanding array of superstar talent that will keep basketball collectors coming back for more. Based on Upper Deck’s longtime relationship with exclusive basketball spokesman Michael Jordan, the company was able to utilize the actual basketball floor at Carmichael Arena upon which MJ played his three seasons at UNC. The large 1.5” by 2” floor pieces have been placed in specially designed “Supreme Court” floor cards which show Jordan during his days as a Tar Heel. What’s more, Jordan has signed some very rare parallels of the cards (numbered to five each) which should really get people cracking packs in search of these limited-edition gems. Showcasing the biggest names in college basketball history, SP Authentic features incredible box breaks and compelling content in every pack. Each box, on average, will yield either two “SP By the Letter” autograph cards from top rookies, veterans and/or retirees or one “SP By the Letter” signed card, one additional autographed card (single-, dual-, triple- or quad-signed) and one MJ “Supreme Court” floor card! But wait; there’s more! In addition to the previously mentioned finds, collectors will uncover classic Holo F/X hologram inserts falling at a rate of 1:6 packs with rare die-cut versions sprinkled throughout the product. And the autograph card lineup is second to none. 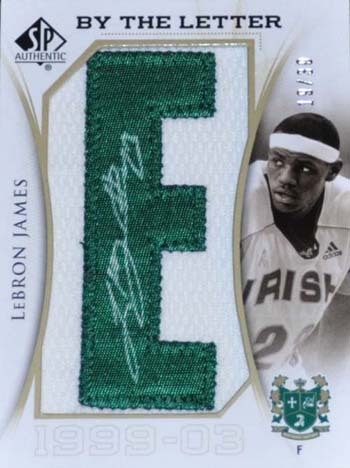 Even former high school standout LeBron James (St. Vincent-St. Mary), another exclusive autograph signer for Upper Deck, has participated with a bevy of autograph cards throughout the product. Some of the biggest names in the history of basketball comprise the multi-tiered “Sign of the Times” collection including Julius Erving (Massachusetts), Magic Johnson (Michigan State), Larry Bird (Indiana State), Jerry West (West Virginia), Anfernee Hardaway (Memphis), Bill Walton (UCLA), Danny Manning (Kansas) and John Havlicek (Ohio State). The “Chirography” signed cards are just as enticing as superstars like Alonzo Mourning (Georgetown), Christian Laettner (Duke), Derrick Rose (Memphis), Larry Johnson (UNLV), John Stockton (Gonzaga) and Michael Jordan (UNC) top the list. Upper Deck’s 2010-11 SP Authentic Basketball set boast five cards per pack, 24 packs per box, and is available on store shelves now.